250 Million people in America will experience below freezing temperatures today.The Polar Vortex sweeping down from the North Pole will make places like Chicago colder than Antartica. 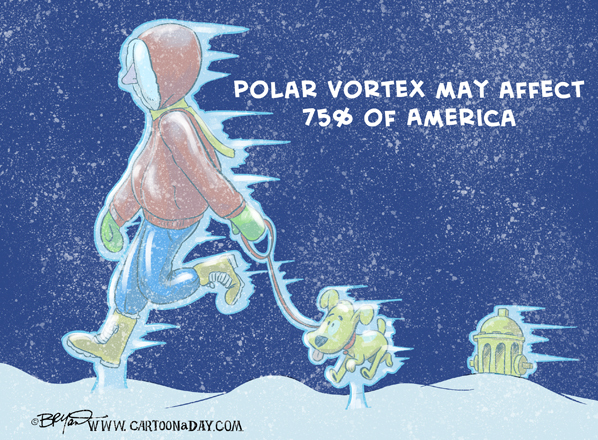 Meteorologists are predicting wind chill might make some places feel like 50-60 degrees below zero. So stay home or bundle up if you’re heading out.